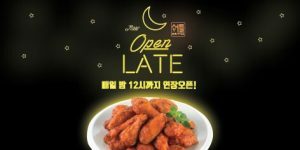 2019년 2월 18일 플로리안 웰밍거에 의해 작성됨. 지난 5개월동안 #셔틀세이브 발의안은 35,000개의 일회용품을 절약할 수 있었습니다. 저는 플로리안입니다. 셔틀의 최고기술경영자이며 일주일에 5일을 셔틀 사무실에서 근무합니다. 겨울철 우리 팀은 함께 식사를 하기 위하여 사무실로 음식을 주문합니다. 사무실에는 사용 후 설거지가 가능한 접시와 수저가 비치되어 있습니다. 주문한 음식이 배달되어 올때마다 우리는 항상 나무젓가락, 플라스틱 칼, 또는 플라스틱 포크 등이 함께 오는 것을 볼 수 있었습니다. 저는 제가 일회용품을 사용하지 않는다는 것을 알기때문에 음식을 배달시킬때마다 함께 오는 일회용품을 보며 늘 마음이 불편했습니다. 몇 번의 배달 후 사무실의 서랍은 일회용품들로 가득 찼고 사용하지 않는 것들을 버려지기 시작했습니다. 2018년 여름, 우리 팀은 환경보호에 대해 조금씩 더 생각하기 시작했습니다. 우리는 생각했습니다. “만약 셔틀의 고객들에게 일회용품 사용여부의 선택권 을 주면 어떨까?” 이전에 최소한의 포장을 부탁하는 몇 번의 요청을 받았었기 때문에 일부 고객들께는 흥미로울 것이라는 사실을 우리는 알고 있었습니다. 그러나 대략 2개월에 한번정도로 요청건수는 매우 적었고 우리는 이것이 인기있는 옵션이 될 것이라고 생각하지 않았습니다. 팀 주간회의에서 저는 #셔틀세이브에 대한 의견을 내놓았습니다. 놀랍게도 C-Level팀의 모든 사람들은 이 의견이 우리가 회사로서 해야 할 일이라고 동의했습니다. 우리의 개발팀은 바로 앱과 웹사이트에서 일회용품 사용여부를 선택할 수 있도록 설정 작업을 시작하였습니다. 우리는 또한 고객센터팀에서 고객들의 선택을 볼 수 있고 레스토랑이 사용하는 대쉬보드에서도 정확한 설정이 표시되어 주문 준비과정시 쉽게 알 수 있도록 하여야 했습니다. 고객들께 일회용품 사용여부 선택 설정을 허용한 #셔틀세이브 발의안은 2018년 9월에 조용히 시작되었습니다. 놀랍게도 우리의 고객들은 새 기능을 바로 사용하기 시작하였습니다. 첫 달에는 주문의 4%가 “일회용품 미사용”을 선택하였습니다. 11월에는 7%까지 상승, 12월에는 12%, 2019년 1월에는 최고 22%까지 상승했습니다. 저의 경험으로 말하건대 당신이 정말로 일회용품을 필요로 할 때 얻지 못한다면 그것은 당신의 배달 경험 전체를 망칠 수도 있습니다. 이번달, (2019년 2월) 우리는 한국 정부가 발표한 배달음식 포장용기와 일회용품 사용 축소에 대한 계획 에 대하여 읽었습니다. 한국 정부가 이 문제에 대하여 진지하게 고려하는 것을 알게 됨과 동시에 우리가 앞서가고 있다는 사실에 기뻤습니다. 현재 셔틀은 한국에서 운영되는 배달업체로서는 처음으로 일회용품 폐기문제를 해결하기 위한 노력을 시작했습니다. 정부가 엄격한 규제를 시행하기 전에 배달산업의 다른 업체들도 함께 문제를 해결 해 나갈 수 있기를 바랍니다. #셔틀세이브 발의안에서 알 수 있듯이 우리의 고객들은 환경문제에 신경을 쓰며 낭비를 줄이기 위해 적극적으로 조치를 취할 용의가 있습니다. 셔틀팀은 사람들에게 환경을 위해 무엇인가를 할 수 있는 선택권을 주면 함께 할 것이라고 믿습니다! 배달은 때때로 불필요한 일회용품을 많이 사용합니다. 우리는 “일회용품 미사용”을 선택하신 여러분께 진심으로 감사드립니다. 당신은 우리가 살고있는 지구를 보호하는데 도움을 주고 있습니다. My name is Florian, I’m the CTO at Shuttle and I work at our office 5 days a week. During the winter our team orders food to the office so we can eat together. At the office, we have plates and cutlery we eat lunch with and wash afterwards. Each time I saw our food arrive with wooden chopsticks, plastic knives, or forks and spoons; it made me feel a little bit guilty about my delivery experience because I knew I wasn’t using the cutlery. After a month or so, our drawers became full of disposable utensils, so we began throwing the unused ones in the trash. 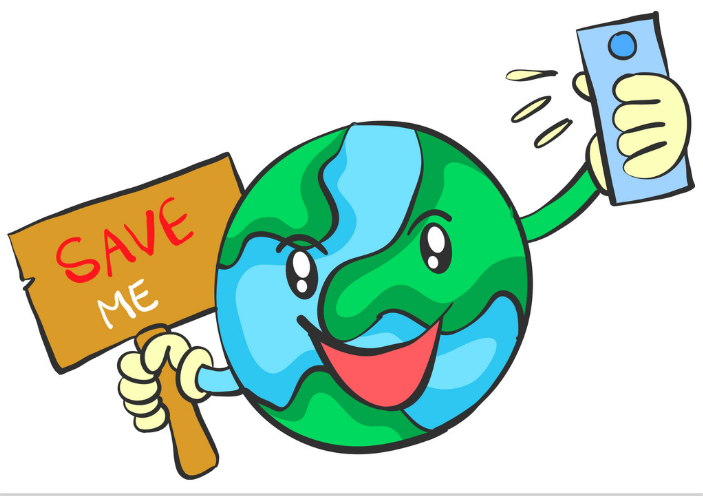 In the summer of 2018, our team started thinking a little bit more about taking care of the Earth; we thought, “What if we could give Shuttle customers the option to opt-out of plastic cutlery?” We already knew some customers would be interested because we received a few requests asking for an option to receive less disposable packaging. The requests were very few, approximately about one every two months, so we really didn’t think that it would be a very popular option. During one of our weekly team meetings I brought up the initiative, #ShuttleSaves; and to my surprise, everyone on our C-Level team agreed that the initiative was something we should do as a company. 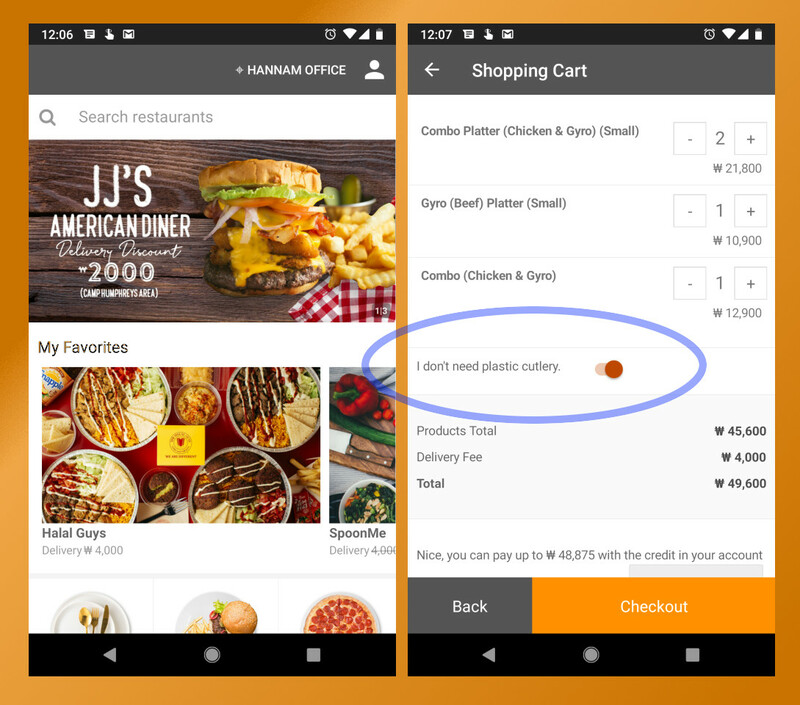 Our development team immediately started working on the “No Cutlery” option in the app and on the website. We had to make sure that our customer service team would see the customer’s choice, and that the option would display properly on the restaurant dashboard to easily inform them when they prepare the order. 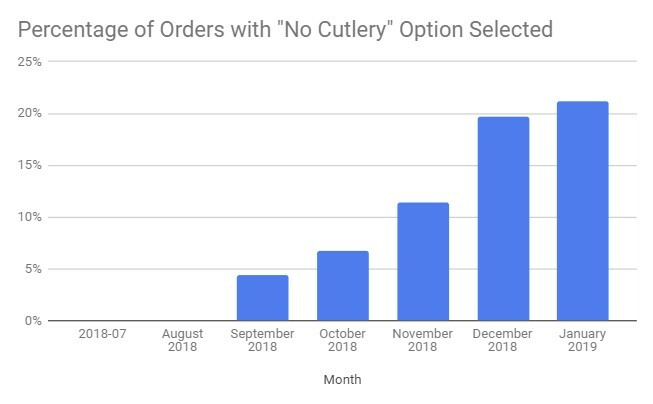 The #ShuttleSaves initiative that allowed customers the “No Cutlery” option was quietly launched in September 2018. To my surprise, our customers began using the new feature immediately. By the first month, 4% of all orders chose the “No Cutlery” option. Then it went up to 7% in November, 12% in December, and by January 2019 it was at an all-time high of 22%. This month, (February 2019) we read an announcement from the Korean government about plans to reduce plastic cutlery and containers for delivery companies. It’s nice to see the Korean government taking the issue seriously and we were happy to see that we were ahead of the curve! 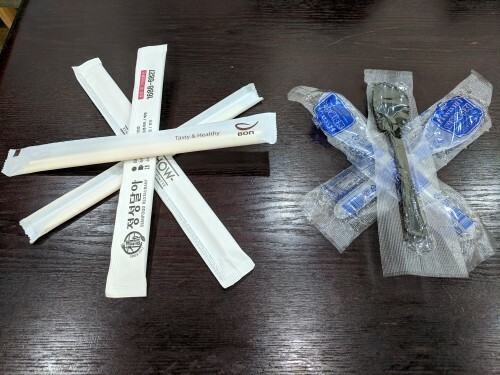 At present, Shuttle is the ONLY Korea based delivery company that has began tackling the problem with cutlery waste; we hope that others in our industry address the issue before the government has to step in with bulky and rigid regulations. As we can see from the #ShuttleSaves initiative, our customers care about the issue and are willing are willing to take a proactive steps towards creating less waste as long as it’s good for the environment. Shuttle’s team believes that if we give people the choice to do something for the environment, they will use it! Delivery sometimes uses a lot of unnecessary plastic materials; we’d like to give a big and sincere THANK YOU to those of you who chose the “No Cutlery” option, you are all helping preserve the planet we live on. Why is Shuttle finally doing a VIP program? 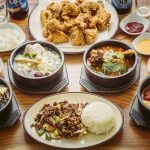 Shuttle is an English friendly food delivery service that delivers from Seoul’s best foreign restaurants. We launched our company in 2014 with two goals; first, we wanted to make delivery more accessible for foreigners who couldn’t speak Korean. Second, we wanted to expand restaurant options that were available for delivery. 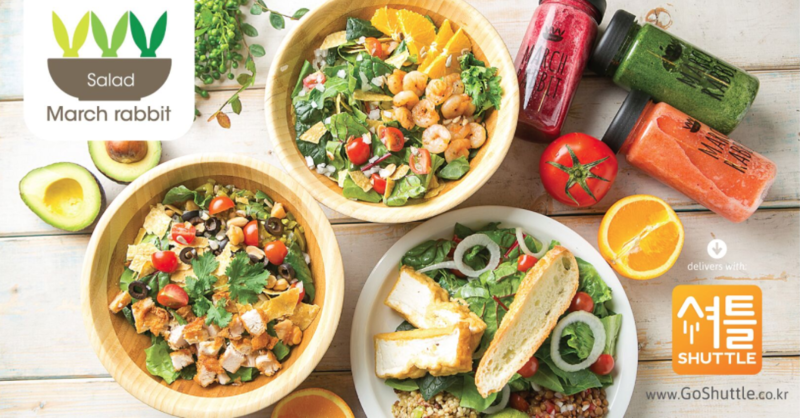 We wanted to give more options for consumers, both in terms of what types of cuisine are available for delivery, and how they can place and pay for orders. 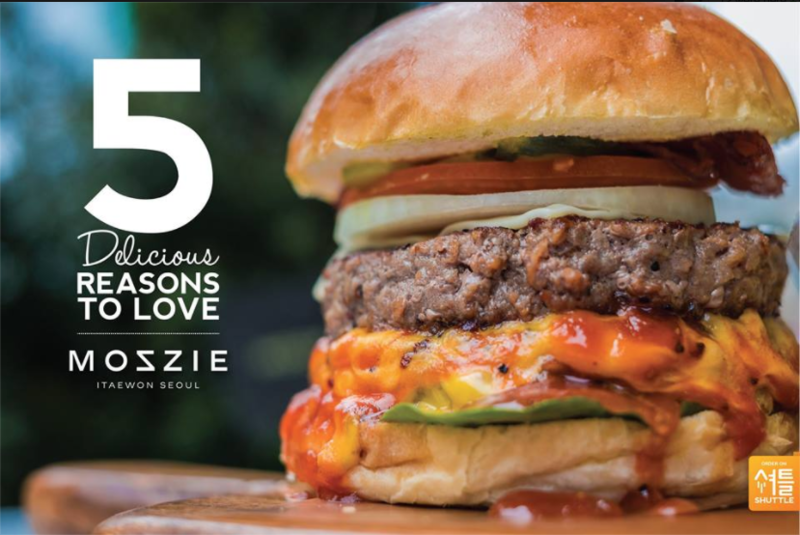 At present we deliver in the following areas: Yongsan-gu, Gangnam-gu, Jongno-gu, Jung-gu, Seodaemun-gu, Mapo-gu, Seocho-gu, Anjung-ri and Songtan. Now we want offer even more from us! 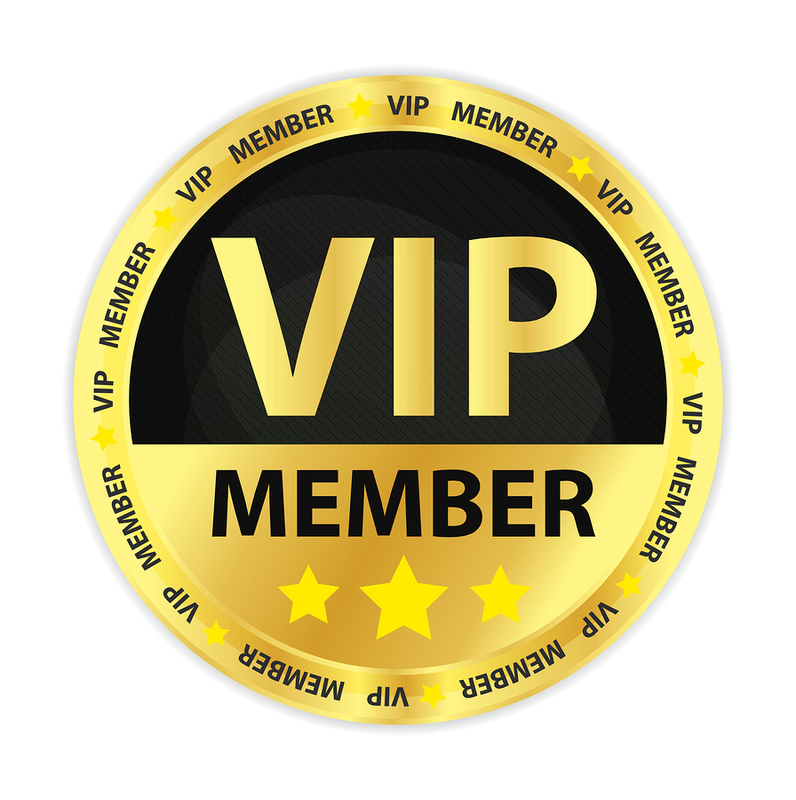 This VIP program is all about you, and building lasting bridges in our community. This VIP program is about promoting unity among the people supporting us. We hope the benefits of being in our VIP program will want you to continue to support our initiative to leave a lasting impression in the global community of Seoul. What benefits do Shuttle VIP customers receive? Delivery Fee rebate of 10% credited to your Shuttle account for all delivery fees paid during your status as a VIP customer. For example, you paid 250,000 KRW in delivery fees between June 1st – June 30th; on July 1st your Shuttle account will be credited 25,000 KRW (10% of delivery fees). You can use the credit any way you’d like. How do I become a Shuttle VIP customer? You are a member of an organization that has partnered with Shuttle to offer its members Shuttle VIP status. Your orders on Shuttle the previous calendar month totaled more than 750,000 KRW. For example, if your order total between June 1st – June 30th was 751,000 KRW then your account will automatically be elevated to Shuttle VIP status between July 1st – July 31st. Can I lose my status as a Shuttle VIP customer? Yes, Shuttle VIP status is checked every six months with partner organizations to ensure members are still an active part of said organization. If you cease to be an active member your Shuttle VIP status will be revoked. 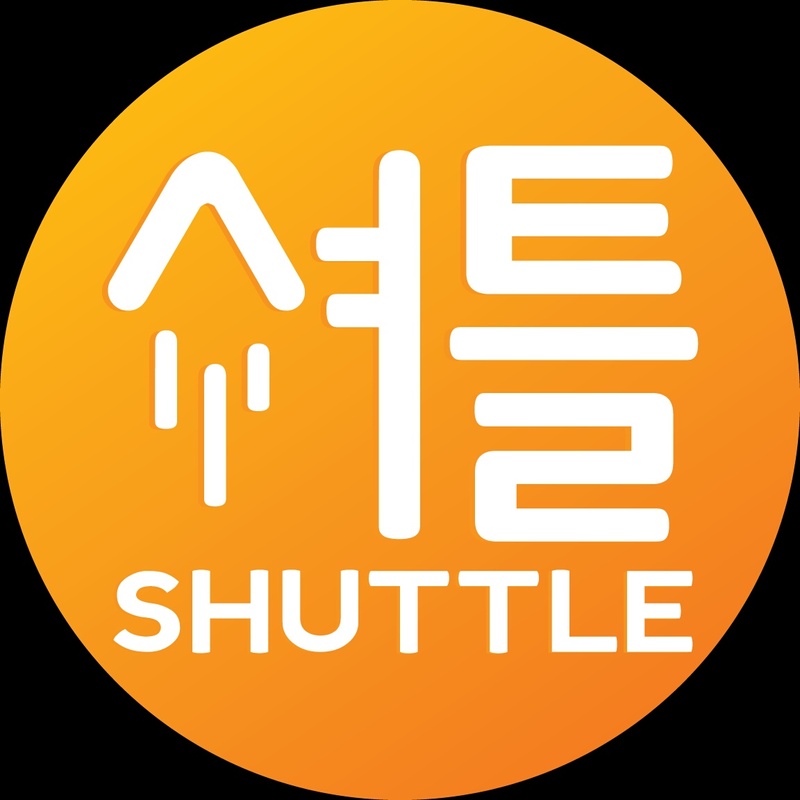 Shuttle status for Shuttle customers will automatically be checked every month, if your order total was lower than 750,000 KRW between June 1st – June 30th your Shuttle VIP status will be removed starting July 1st. Does becoming a Shuttle VIP customer cost money? You cannot buy VIP membership. At present only people who are partnered with organizations Shuttle cooperates with or Shuttle Delivery customers spending over 750,000 KRW per calendar month are eligible for VIP status. How do I get access to Shuttle VIP through my local organization or group? Here is the Sponsorship Application process! Organizations are welcome to submit sponsorship proposals to partners@shuttledelivery.co.kr. Description and history of the organization, event or program the applicant wants Shuttle to sponsor. Explanation of why Shuttle should sponsor particular organization, event and/or program, including sponsorship benefits to Shuttle. Audience demographics for event or program. Sponsorship levels available, including a list of other partners, if applicable. Sponsorship levels and costs associated with each level. Before submitting any proposal, the sponsorship Evaluation Criteria listed below should be considered. Sponsorship proposals are evaluated against several criteria. 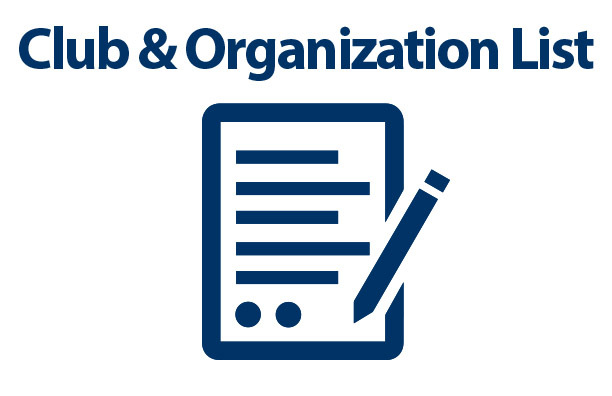 These criteria have been developed to ensure that Shuttle establishes sponsorship relationships that will mutually benefit our corporation and the partnering organization. Tangible business benefits associated with the partnership. Positive exposure consistent with Shuttle’s brands. Hyper-local scope, with the ability to mobilize members on a local level. Opportunity to create long-term value. 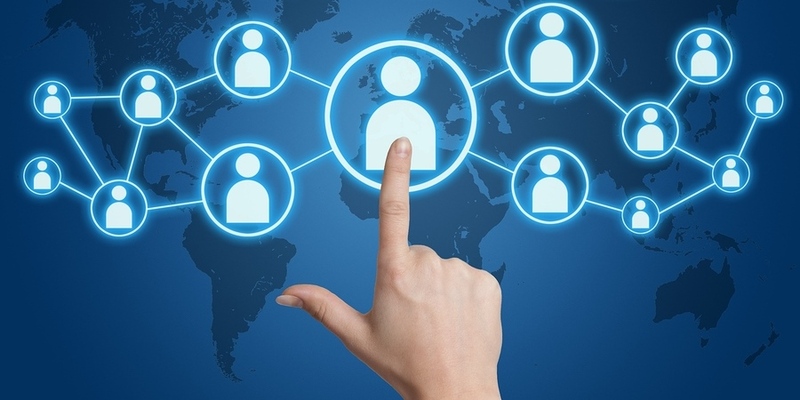 Opportunity to reach targeted audiences and build relationships. Ability to create cross-promotional initiatives. Potential for long-term, sustainable partnerships and/or relationships, that allows Shuttle to connect to its target consumers and market its products and services. Demonstrated experience in delivering added value to current or previous sponsors. 친구소개하고 친구와 함께 할인쿠폰 받으세요! 이제는 셔틀을 통해서 과거에 가능하지 않았던 배달음식도 집앞으로 손쉽게 배달시켜 먹을 수 있다는 사실을 아직 모르시는 분들이 많은 것 같아요. 주변지인에게 셔틀을 알리고 나도 실속을 차릴 수 있는 “친구소개하기” 프로그램에 대해 알아볼까요? “친구소개하기” 프로그램은 더 많은 사람들에게 셔틀의 서비스를 알리고자 일년전에 시작했습니다. 추천링크를 통해 가입하시는 분께 첫주문 배달비 공짜혜택을 드리는 프로그램이예요. 추천된 첫 가입고객에게 4,000원 상당의 배달비 무료쿠폰이 지급되고, 그 추천인 에게도 4,000원이 지급된답니다! 친한 친구, 가족, 동료, 룸메 등 지인에게 유익한 셔틀 소개하고, 추천하느라 고생한 나한테도 똑같은 금액으로 보상받으세요! 추천인 가입시 4,000원의 크레딧이 제공됩니다. 추천인 만큼 내계정에 크레딧이 쌓이고 그 크레딧만큼 레스토랑 인보이스에서 차감시켜 드려요! 더 많은 사람들이 배달 서비스를 받을 수 있게 더 널리 퍼트려 주세요! 배달안되는 맛집이 없게 더 열심히 활동할 예정이니 많은 성원 부탁드릴게요! 4월부터는 해가 길어지는 만큼 주문 가능 시간도 늘어나요! 4월2일 부터 오전 11시 부터 저녁12시까지 쉬는시간 없이 오픈합니다. 기존 영업시간에서 무려 4시간 반이 연장되었답니다! 영업시간 연장에 대한 요청을 하시는 고객분들이 많았었는데, 이제 12시까지 주문해서 드실 수 있으니 맘껏 시켜 드시길 바랄게요! 배고픈 속을 충분히 만족시켜드릴만한 야식맛집 레스토랑들 많이 추가했답니다! 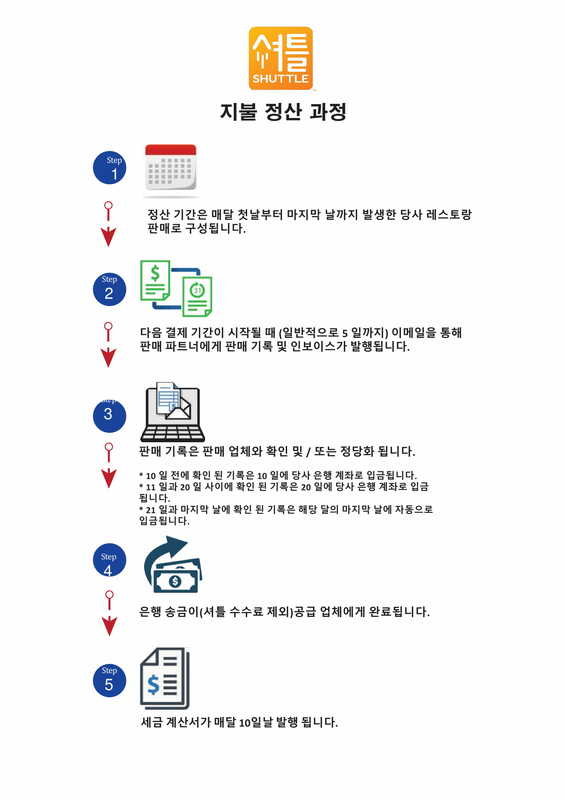 기존 많은 파트너 레스토랑들이 9:30-10시에 영업을 종료하니 특별히 드시고자했던 메뉴가 있었다면 해당 레스토랑 영업시간을 꼭 확인해 주세요! 그래도 걱정 마세요, 셔틀은 여러분의 야식욕을 채워드리기 위해 더 많은 레스토랑들을 소개해 드릴거에요. 안녕하세요 배달 서비스 회사 셔틀입니다. 저희 회사를 소개 시켜 드릴 수 있는 기회를 주셔서 감사 드리고, 상호 발전할 수 있는 파트너십 관계로 성장하기를 기원합니다. 첨부된 내용은 셔틀 회사가 제공하는 서비스에 관해 간단하고 명료하게 설명되어 있고 어떻게 저희들이 당사 레스토랑을 더욱 더 성장하는 데에 기여 할 수 있는 지 제시해 드립니다. 본 내용의 개요는 아래와 같습니다. 1. 운영 개요 – 셔틀은 어떻게 진행되나요? 2. 회사 장점 – 셔틀의 독보적인 장점은 무엇인가요? 3. 수익 모델 – 셔틀은 어떻게 수익을 낼까요? 4. 지불 과정 및 프로토콜 – 지불은 어떻게 처리됩니까? 5. 점검표 – 시작하려면 무엇이 필요합니까? 저희는 당사와 파트너 관계로 발전되고 무궁한 사업 발전이 있도록 돕고 싶습니다. 여러분의 생각과 의견을 듣고 싶습니다. 소중한 여러분의 짧은 시간을 내주시면 더 자세하게 설명 드리겠습니다. 셔틀 회사는 국내 일반 고객뿐만 아니라 영어를 구사하는 고객에게 서비스를 제공합니다. 저희는 한국에 있는 타 배달 회사가 제공하지 못하는 12,000 명 가량의 재구매 외국인 고객 기반을 보유하고 있으며 그 수는 증가하고 있습니다. 셔틀은 외국인 고객이 쉽게 지불할 수 있도록 일반 국내 결제 수단 및 국제 신용카드, 비트코인, PAYPAL 결제 방법을 제공합니다. 영어 고객 서비스 지원을 함으로 수준 높은 서비스를 제공합니다. 무료 온라인 광고와 레스토랑 미디어 노출을 제공합니다. 레스토랑의 다양한 통계 자료를 제공해 드립니다. 제공된 서비스에 대한 초기 선불 수수료가 없습니다. 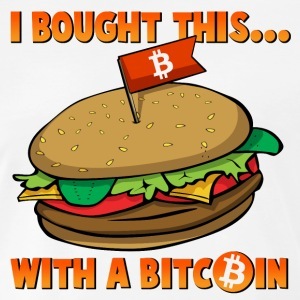 That’s right, now you can use the world’s most popular cryptocurrency to buy your food, and get it delivered. 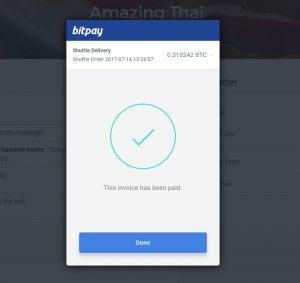 We wanted to provide an easy way for the numerous Seoulites with bitcoins, to pay for their meal deliveries. 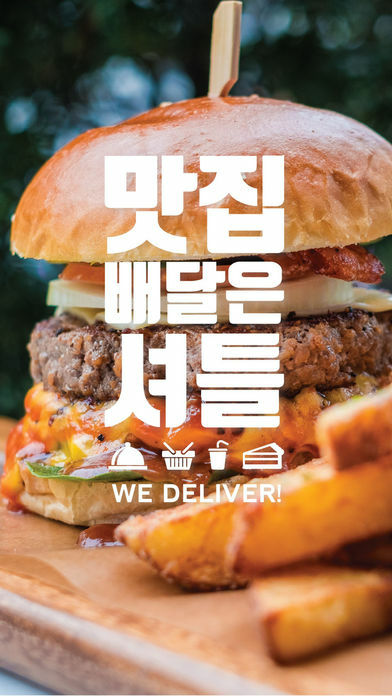 We are proud to announce that we are the first food delivery company in Korea to accept Bitcoin. Shuttle charges no additional fee to pay via Bitcoin. 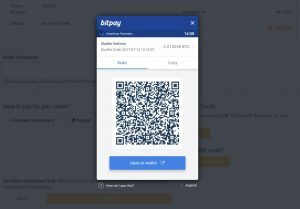 You can use any wallet you have on your phone, and – thanks to our partner solution at BitPay – payments just take a few seconds to confirm. All prices are instantly converted from Korean won to Bitcoin, at the time of writing, an order for 35,000 KRW would cost you 0.01244 Bitcoin, or 12.44 millibits. How do I use Bitcoin on Shuttle? 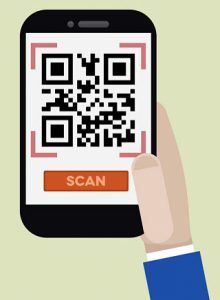 Take out your phone that has a Bitcoin wallet app installed, and use the “Scan” or “Read QR code” function of your app. Lean back, Shuttle will handle the rest from here! Recently, we added PayPal as a payment option, but after listening to our customers, we realized that it isn’t the right solution for everyone. 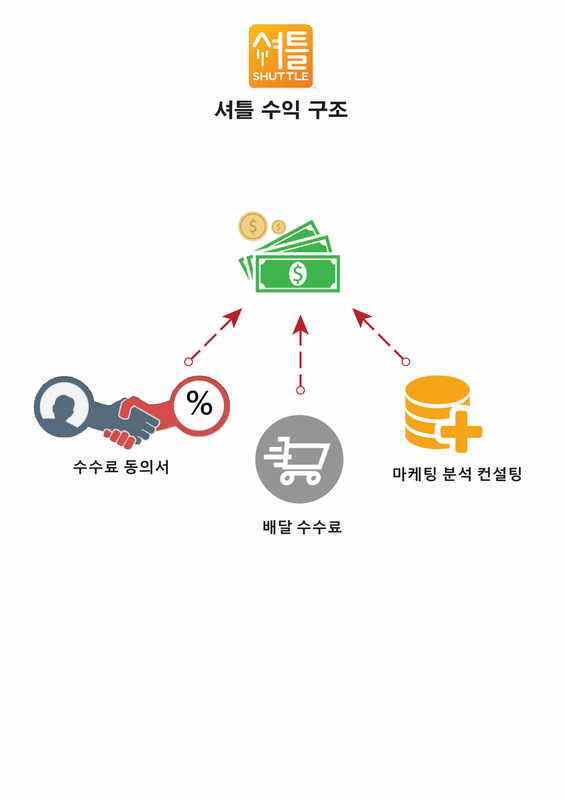 It suffers from the same restrictions on credit card transactions like most other payment gateways in Korea. The old requirements about Internet Explorer and ActiveX. Korea is a technologically advanced and progressive country. But online payments have always been a source of frustration for Koreans in general, and expats especially. The prerequisites for online payments are numerous. You need to download and install numerous security plugins, provide a Korean ID number, a Korean phone number that is registered in your name, and then you can only use Internet Explorer. For the foreign community in Seoul, who – in proportion- use more Macs and often lack one of the above requirements, this is a major pain point. That’s why we see Bitcoin as a perfect fit. We’re a bunch of early adopters who believe that there is always a better technology out there to solve our problems. And because Korea has these unique issues that hinder the spread of easy and affordable online payment options, we saw cryptocurrencies as a perfect fit for our and our customer’s problems. We live in exciting times. Let’s give Bitcoin another practical use. 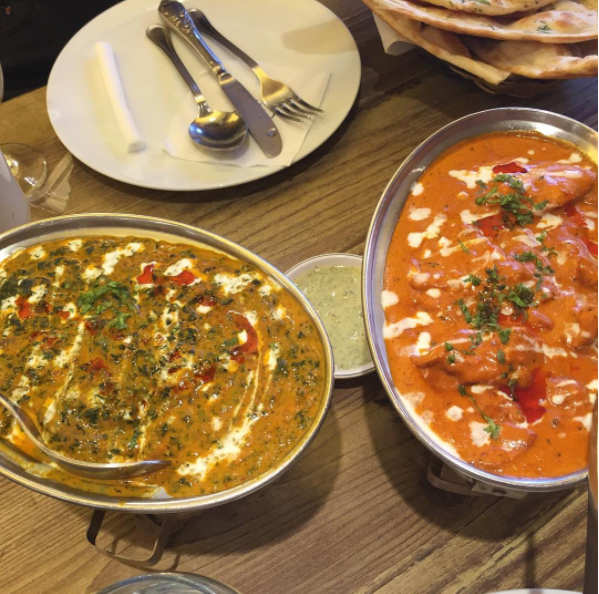 Introduce Your Friends to Shuttle & Eat for Free! We want to grow our community and reach out to all the people in Seoul who haven’t heard that they can order more than chicken and pizza. And you can help us do it. We started this very exciting initiative about a year ago to help everyone learn about getting great food delivered right to their doors. It’s a referral program where we are offering new user’s first order delivery fee with us to be exempt. We will cover the 4,000 won cost of the new referred customer and we will offer the referrer something valuable in return as well! We think this is a great opportunity for all participating referrers because essentially you are giving away something very useful to your friends, church community, family members, roommates, sports teammate, etc. while also getting Shuttle credit for yourself. If you love Shuttle Delivery and you love free stuff, then you definitely want to get in on this: You earn ₩ 4,000 in Shuttle credit for each friend that you get to sign up. 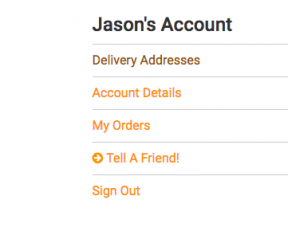 Your account will be credited after their first order. You can also click one of the social media buttons on our “Tell a Friend” Shuttle page to automatically post it to Facebook, tweet it, or email it. Referrers get a unique referral code to share with whomever they choose, so that every time they get a new person to try our service, the referrer gets paid in Shuttle credit. We hope everyone helps us spread the word on this very exciting initiative! 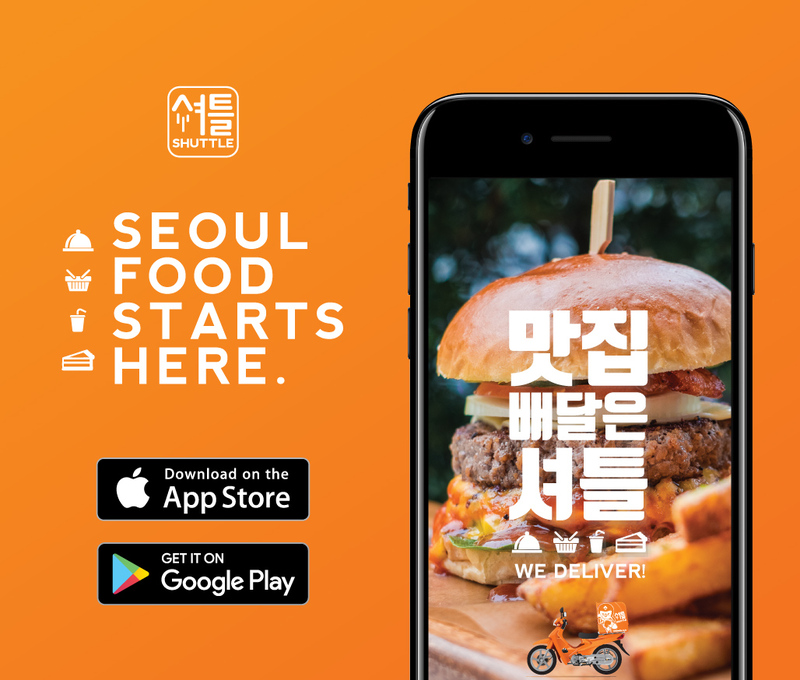 Our company was formed by a bunch of expats who decided to solve a food delivery problem plaguing the Seoul foreign community for a very long time; so we want our Shuttle Delivery service to continue to spread in order for it to be used by more and more foreigners within our previously neglected expat community. Do your neighbor a favor and tell them about Shuttle Delivery today! Food Photos! Believe it or not, we hear more requests for better photos on our site than anything else. People love good food photos and they can really help our Shuttle Delivery community make better purchasing decisions. Unfortunately not all of our partner restaurants offer photos of their menu items when they join our site. This was truly an unfortunate scenario since we really wanted to be considered absolutely customer focused. We began to feel like we were at the mercy of partner restaurants’ desire to promote their food items effectively; so we finally decided that we would take the bull by the horns and just do our own photography of their dishes. 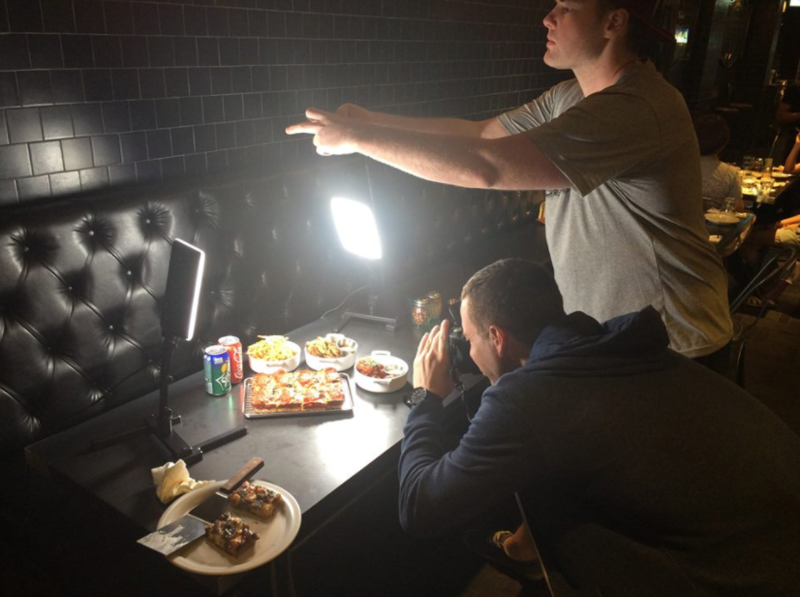 We decided we would first speak to the restaurants willing to make the dishes for us so we could photograph them. Some restaurants don’t think photographs are important so they were unwilling to make us dishes unless we paid for their dishes. We are still constantly working on taking more photos for the site, but we are slowly upgrading each page based on which restaurants are the most flexible about our photography efforts. A lot of it comes down to a partner restaurant’s scheduling availability and their willingness to accept the costs of food not being consumed by a paying customer. It is a long and arduous journey to update the entire site with photos but we decided that this would ultimately be best for our users. Our web data was showing us that our site users were ordering more from the partners with high quality food photos. So we knew that food photos had to become a priority for the entire site and not just some of the partner pages. Our users make us want to become better every day, so it was only natural that they would also help us become better at a skill like photography. None of us are professional photographers. We are still a young and growing company, so we could not afford to use our budget to hire any photographers; so we did the next best thing and we started learning the art of food photography! Taking great photographs of food is a hard-earned skill, which explains why some people are lucky enough to get paid for doing it. But we learned that it’s also a lot easier to hone these days, than in years prior. Digital cameras are easier to use than ever before and phone cameras are becoming more and more sophisticated with each passing year. Everyone with an IPhone 6 and higher can become a decent food photographer with a few crucial pieces of advice. We will attack the subject of what was the best “advice” we found through food photography research in our next post. Here at Shuttle Delivery, we get tons of questions from our users, like “What’s your favorite restaurant?” and “How many new neighborhoods will you guys provide coverage for this year?” and of course “Are you an app or are you actually a highly intelligent robot army of delivery ajjushis! ?” But the question we get asked the most is, “How can I work for you?” Well first, we suggest you live in either the Itaewon Area or the Gangnam area of Seoul. Oh, and put in an application right here. Then, we suggest you read this list! It’s chocked full of pretty much everything you need to know in order to absolutely crush a highly coveted interview with Shuttle Delivery. Like most job interviews, first impressions are everything. If you walk into your interview dressed as a Sriracha Bottle, you’ve already taken the right step. Working at Shuttle Delivery means being prepared for anything and everything. Can you handle the pressure cooker? Constantly looking over your shoulder for potential kimchi slaps just right around the corner! Can you perfectly stack a BLT under pressure, all while Kim Jong Un may or may not have his finger on the button…? Oh, also, you should probably bring a copy of your resume and have some follow up questions ready for us, blah, blah, blah. Bonus tip: You might enter a epic battle of Oregon Trail with Dear Leader, so freshen up your DOS skills. We know this seems pretty obvious, but you should always show up at least 10 minutes before your scheduled interview. In fact, a recent study showed if you show up 17 minutes early, your chances of being hired go up by 33.7%. That study was conducted by a pizza school box… a pizza school box that’s always on time. We’ll let that sink in. While we think your Master’s Degree in Instagram is impressive, we want to get to know the real you. How many times have you went to costco just to get the pizza and nearly finished it all on the way home? Tell us about the time you were confident enough to order 3 sets of ttukbokki, 2 orders of Sundae and one order of mandoo at the good food stall; all while simultaneously figuring out the exact number of seconds needed to run and catch that next train on your subway stop! If your example happens to be winning at the eternal Russian Roulette sink game of Korean bathrooms, that’ll work too. Look, interviews can be a long and strenuous process. With all the waiting, hand-shaking, nodding while smiling, eye-contacting, tie wearing, lipstick applying, and question answering, it truly can be hard to focus. For you, and for us. Scientists (Somewhere) have proven that people think better on their feet when they are not thinking about other things like eating. Snacks can help! But be warned, this interview will end quite abruptly for you, if you don’t bring enough for us too ! As we’ve mentioned, here at Shuttle Delivery you need to be prepared for anything. Will your interview be in the bowels of the Shuttle Compound with rocket ships taking off mere meters away from us? Or will it be in an air-conditioned room on a comfy couch on the 6th floor? Most likely it’ll be the latter, but you never know. Bring nunchucks (preferably boot-leg replicas from the Chuck Norris classic, “Side-Kicks”). Bring 1980’s replica papa smurf doll you found in a happy meal. Bring a paper mache soju bottle pinata. Bring a poorly dubbed dvd copy of the 2007 Korean big budget production “D-Wars”. We could go on. But seriously bring tacos. Seriously, don’t forget the tacos! 7. Food Puns! Food Puns!! Food Puns!!! If we didn’t mention this yet then let us make this abundantly clear! This job can be rough on a rainy, snowy, icy day outside delivering happiness to our wonderful and thankful customers and sometimes all you have in life is a good pun. We love our puns because it helps us switch gears a bit and refresh from the daily grind. One day two of our co-founders spent entirely too much time to come up with the puns shown on our Shuttle Kitchen menu page. Those puns don’t write themselves so get prepared to have a little fun and write some awesome puns! Sorry, but no matter what anyone says, puns are important. Said no one ever! Puns are life. And by being yourself, we really mean be a cat. Seriously, are you a cat reading this article? Because if you are, welcome to Shuttle Delivery. We’re happy to have you on the team. 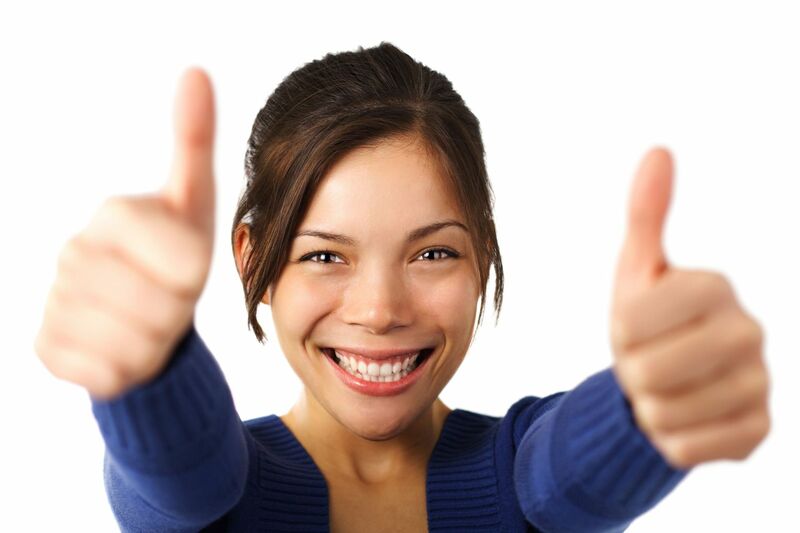 Now you have all the knowledge and tips necessary to ace your interview with Shuttle Delivery. So what are you waiting for? Work for us already!